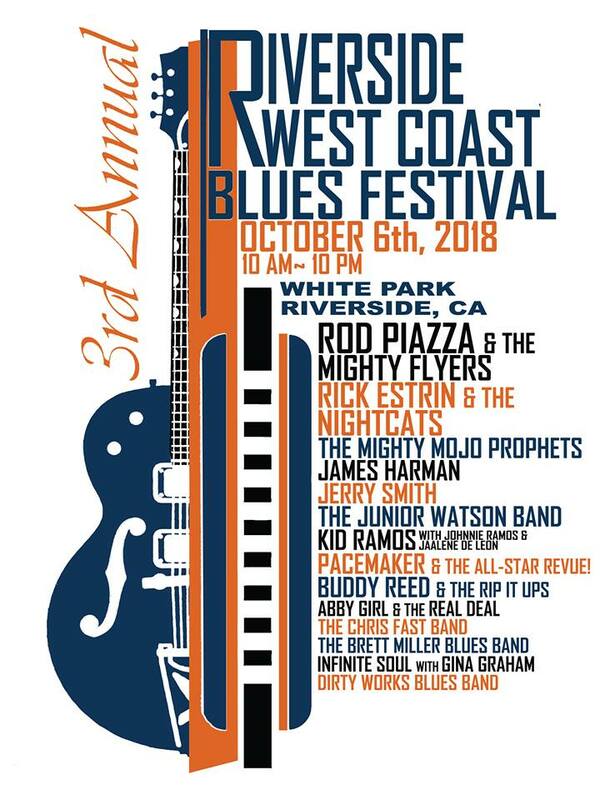 On October 6th, Riverside’s White Park will be the site of the third annual Riverside West Coast Blues Festival. This downtown Riverside public park is a perfect setting to show off this city’s charms, as well as the greatest blues music found on the west coast and, quite frankly, anywhere else on this planet. Any blues festival can serve as a weekend retreat from the grind of 21st century life in America and can be a soul cleansing experience which refreshes the spirit. The Riverside West Coat Blues Festival is no exception. The downtown area is walkable and offers a variety of dining and entertainment establishments. There are several first-class hotels in the area within walking distance to the venue. 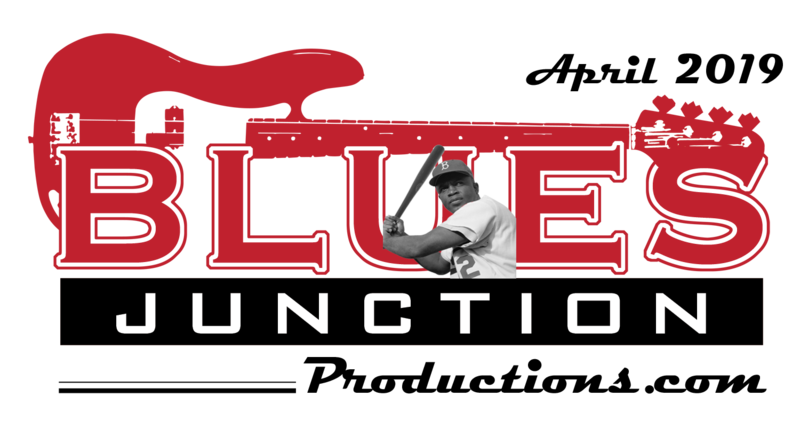 Over the weekend my job as a music journalist will be augmented by being in the employ of Charlie Lange and his Bluebeat Music booth. From time to time Charlie satiates my childhood dream to work in a record store. Now, at the age of 61, I get to live out that fantasy. What will be fun for me being at this festival will be that it features blues music. In fact, it features nothing but first-rate blues music. No classic rockers, posers or that dreaded blues-rock, the bane of eardrums everywhere. No nonsense…just blues music, thank you very much, played the straight, natural way. Rick Estrin and the Nightcats, James Harman, Rod Piazza and the Mighty Flyers, Junior Watson, The Mighty Mojo Prophets, Kid Ramos, Pacemaker and an All-Star Review and Abby Girl and the Real Deal will be among the many artists who will be performing at this all-day event. Congratulations to Theresa and Bob “Pacemaker” Newham for continuing this great annual tradition. They pull this high wire act off with the grace and dignity that this music deserves. As many of our readers know, I don’t very often concern myself with the blues festival business, yet when the right people, do the right things, for the right reasons, I can’t help but to be enthusiastic about the results. It will be a glorious event and one that I highly recommend to all of our readers. You folks, the discerning connoisseurs of this beautiful, quintessential American music, will get a big kick out of the Riverside West Coast Blues Festival. I hope to see you there.